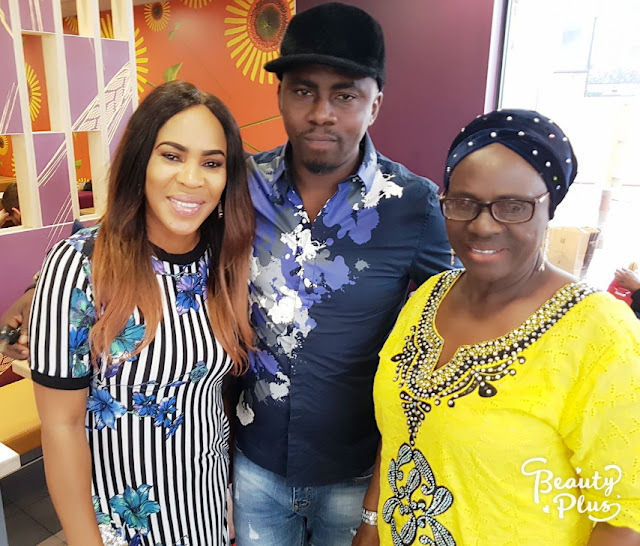 If the words on the streets is anything to go by, the son of veteran Nollywood actress Idowu Philips aka Iya Rainbow may be dating star actress Faithia Balogun. According to insiders, shortly before Fathia returned home about 14 days ago, she was spotted with Femi Philips at a McDonald fast food restaurant on Old Kent road in London. The duo reportedly laughed and chatted intensely as they enjoyed their private moment. 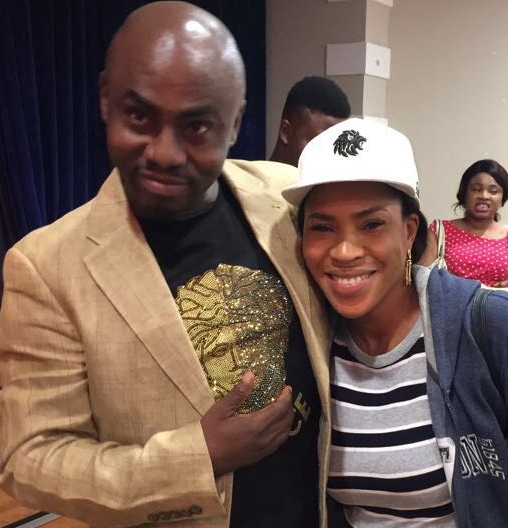 Another source also said, Femi hosted Fathia at a C&S church in London and also stood by her during the premiere of her new movie before she returned to Nigeria. 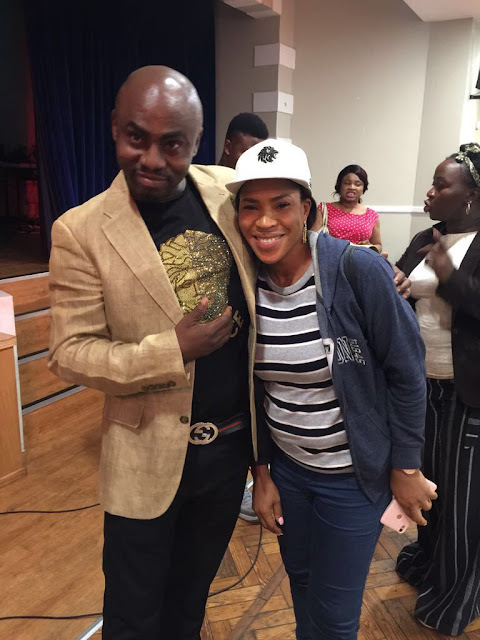 Nollywood sources in London are of the opinion that the two are dating with full backing of Iya Rainbow. That’s thier own cup of kunnu. WORLD PIPU!! Even if u see a man reading newspaper by the roadside or in his car and he is smiling, una go say he de romance the paper! Una wan sell news by force! @fife, bless you! These insiders sef, dem go luku luku luku dem go talku talku talku at every imagined situation. Private moment in a McDonald fast food restaurant..That must be different celebrity date. YOU SHOULD HAVE LOOK FOR SOMEONE ELSE . ANYWAY WE SHALL SEE. THAT IS ALL I CAN SAY . I REMAIN IN-SITU BECAUSE OF WHAT I HAVE SEEN THE NO FUTURE IN IT . FFFFFFFFFFFFFFFFFATHIA NOOOOOOOOOOOOOOOOOOOOOOOOOOOOOOOOOOOOOOOOOOO STOPPPPPPPPPPPPPPPPPPPPPPPPPPPPPPPPPPP RIGHT NOW . PLEASE STOP BECAUSE THIS SO CALLED HAVE CHICKEN BRAIN.